Getting to experience the latest in technology doesn’t have to hurt your budget. Augmented reality allows you to use something most homes already have, a mobile or a tablet. If you thought augmented reality technology was just used to play Pokemon go, let me tell you, there are many more options and games out there that use this technology. We have created a list of 6 toys that are available in the market today. There’s a little bit of everything for everyone in the family to enjoy. Augmented reality flash cards. This is the Space 4D edition created by Octagon Studio. Your kids will be able to explore and learn more about the solar system in a more immersive and interactive way. The AR app is available for both Android and iOS. 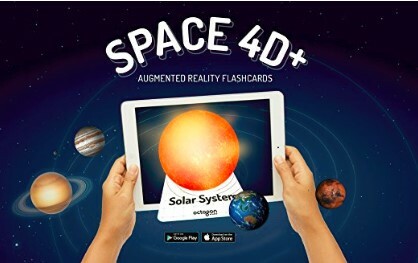 You can get the Space 4D Flash Cards here. Shifu Safari is an interactive educational game for children of age 2-10 years, ensuring a fun and learning at the same time. It works on all Android and iOS devices. 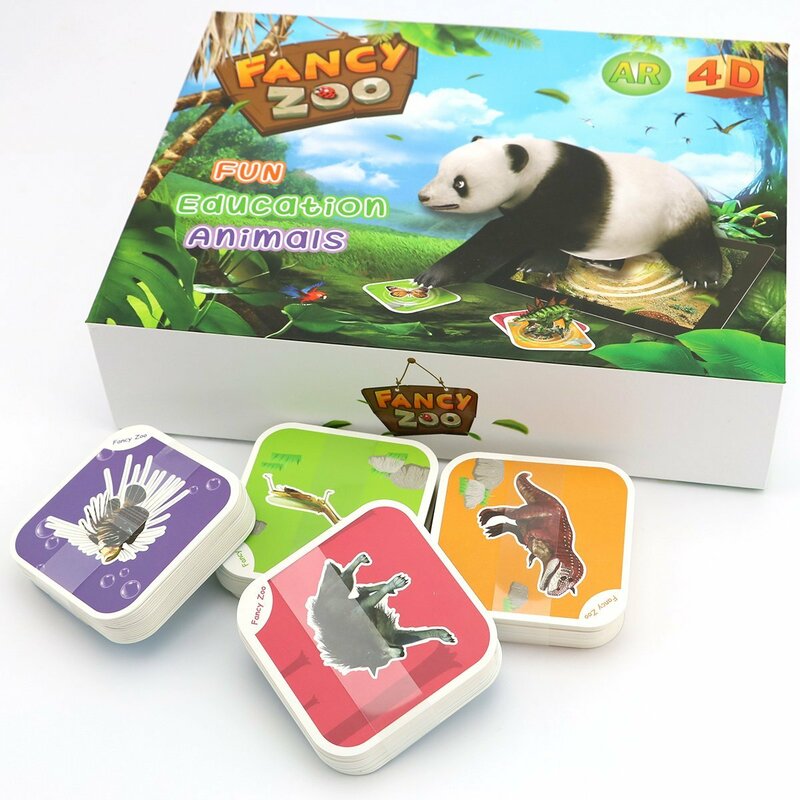 Designed by early childhood experts and parents, Shifu Safari innovatively combines mobile devices and physical play. Shifu Safari box contains 60 fun animal flashcards that operate in real-time with the FREE companion app, Play Shifu. Also, the set contains device stand, carry pouch and activation code. Shifu app works with – iPad 3 & above, iPad mini 2 & above, iPhone 6 & above, any Android device with KitKat 4.4 or above, 2GB RAM. You can get the cards here. 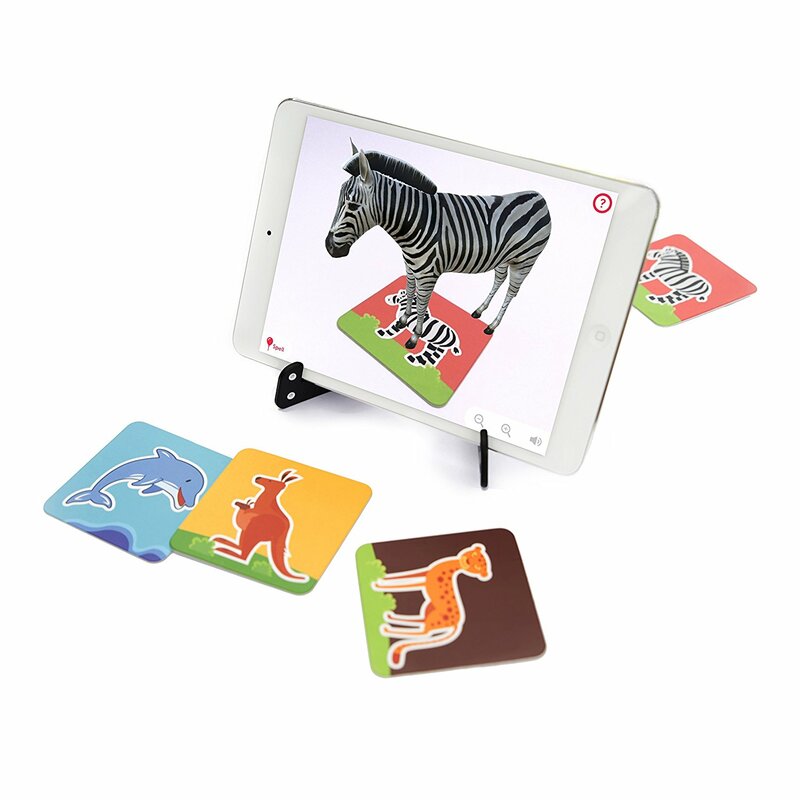 Magic Encyclopedia is one set of preschool educational cards which put 4D virtual objects into a real scene showing a live image via a tablet, mobile phone or iPad, so as to achieve direct interaction between users and the environment. ; Easy to use: download the free APP, scan the cards, the animals they are able to talk, jump, walk, swim, fly, etc. Taking pictures with the favorite animal and share with your friends. Order the flashcards here. This book offers instructions for creating origami greeting cards in such shapes as a barnyard, a lantern, a teacup, a hen and many more. Download the Capstone 4D app available at the Apple store or Google play to access additional content, use the app to scan pages and create greeting cards! 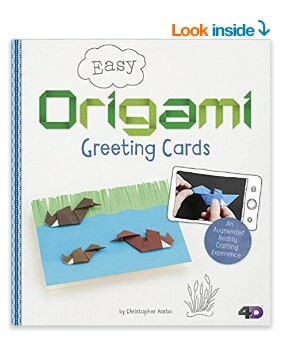 Get the book Easy Origami Greeting Cards: An Augmented Reality Crafting Experience here. Bring your favorite characters alive with the with the Crayola Colour Alive coloring books. The Avengers edition comes with a 16 pages coloring book and 7 markets. Color and play using the free iOS, android or windows app that is included with your purchase. 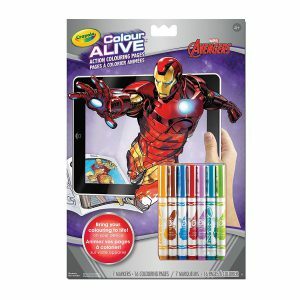 Get the Crayola Colour Alive-Avengers here. The number of ways augmented reality is being incorporated into our life is growing. You may find the option may seem to be limited but there’s no doubt we will be seeing more toys that use AR. 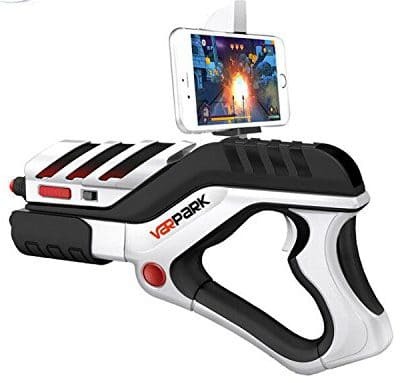 Don’t forget to visit our shop section where you’ll find more Augmented and Virtual reality toys and games. Follow us on Facebook, Twitter or Instagram.